China is one of the major seafarer suppliers in the world . The number of seafarers in China has been growing faster than what is needed for the domestic merchant fleet. It has been difficult however, to assign Chinese seafarers to the international maritime labour market. A lack of English communication skills of Chinese seafarers is often mentioned as one of the barriers for Chinese seafarers to compete with those of other nationalities. 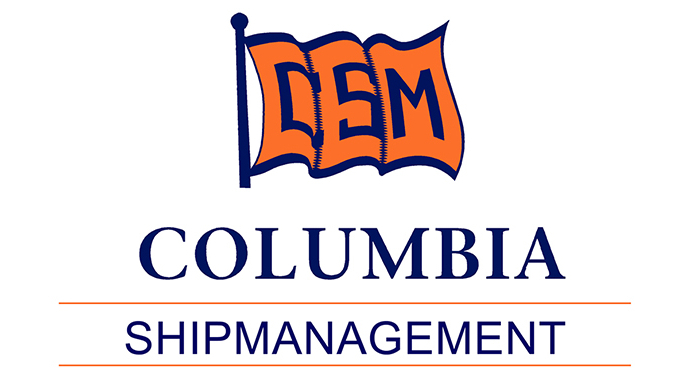 Recent research into communicative competence and the relationship with employability in international markets has shown that there indeed seems to be reason to believe that English and intercultural communication skills need to be improved to meet requirements in the international maritime market and especially to live up to expectations of high-quality shipping companies . The group of cadets that entered Spot On Learning’s Maritime English program consisted of 9 cadets of the Dalian Maritime University (DMU). The history of the DMU goes back more than a century, when it was founded in it’s current form as a merger of three merchant marine institutions in the 50s of the 20th Centry it is said to be the only maritime college in China in 1994 the name was changed into the current one and in 1998 it was the first maritime university in China to receive the ISO 9001 certificate. At entry all cadets were tested by an English teacher. The results showed that all participants were below the level required by their future employer (CEFR B1), though one of the gentlemen was pretty close. But in most cases there where as expected pretty large gaps between the required levels and the levels tested at entry. 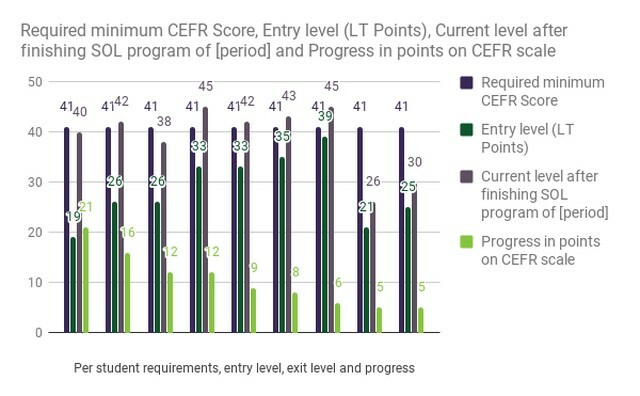 The average gap was 12.4 points, which is almost one full CEFR level. The largest gap was 22, the smallest 2 points. The test showed that the participants in this program have less problems listening to and understanding English than problems speaking. Fluency and pronunciation were often the lowest subscores of the test. Scores fo grammar and vocabulary were also relatively low in most cases. The test was taken over skype. The students were assigned courses that matched their level as tested. At Spot On Learning we use the platform of our partner EnglishCentral for our English language programs. This platform uses videos and among other things innovative speech technology to help students learnign English online. Participants with the largest gaps (15+ points) were assigned extra ‘acceleration’ courses. The courses chosen were to be finished within 8 weeks. After that period the participants needed to be available to go to sea. These participants showed to be overall very motivated to work hard on their courses. Most of the students finished the courses assigned to them within the set period. Because we wanted the students to exercise as much as possible and show maximum progress they were assigned extra courses. Also after 8 weeks it became known that there would be some more time (about 2 weeks) to study before going to sea so that gave all students some more time to work on more video courses and extra assignments. During the program Spot On Learning’s support desk team was monitoring progress and results. Participants received feedback and motivational messages to encourage them and point out which learning activities would be most helpful for them. The group was overall very motivated and worked hard. In total 1,719 video-based learning activitities were done by the group. Normally we choose courses containing around 90 videos for a seafarer's program of two months. One student was not very motivated to follow the outlines of the program, another one could not be as active as was required due to other reasons. The student that lacked motivation was however pretty active with English in other ways. One of our team members contacted all participants using social media (mostly WeChat) and communicated with them using text and voice messages (including stickers and emoticons). We have seen in other communication with that this is very effective, and adds much to communication by email only. When it became clear that participants would be going to sea soon, we invited all participants for a final test, the so called ‘level-up test’. This was again take online, using Skype, by an English teacher. While going through the data already showed that progress was being made. Our Maritime English method and the courses on EnglishCentral we use have several personalised features that show how students are doing with (among other things) improving their pronunciation and expanding their vocabulary. This exit test showed that all students had made measurable progress. The progress varied from 5 points to 21 points, average progress 10.4 points. Students that had worked on more videos of the online program in most cases showed more progress. Participants with a lower entry level overall showed some more progress as measured in points than the students with higher entry scores. This is what we normally see, although there al always exceptions. The graph above shows how activity is related to progress in CEFR points (level up test score -/- entry level test score). 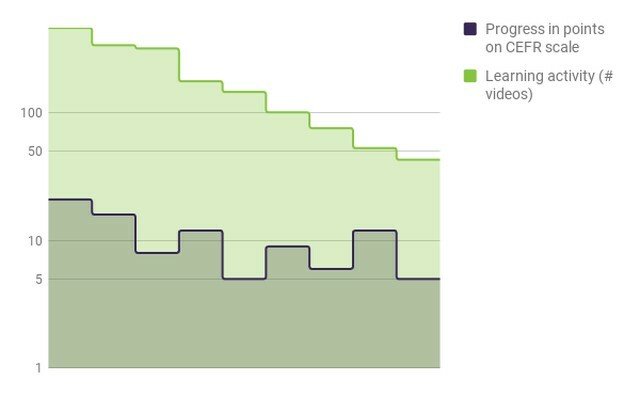 The upper (green line) shows activity in number of videos done. Please note that the scale is logarithmic. The most active student finished 454 videos. Our own conclusion is that - although there are certainly some hurdles to take when teaching Chinese seafarers English from a distance - it is very well impossible for participants to show measurable progress in a relatively short period. Pronunciation can be improved, vocabulary can be expanded. It is important to keep working on improving. That is part of our method. So we hope and do expect to be in touch with these young seafarers again to work on next steps in their education. For the students in this group that have now reached the required level of general English the next step would be to work more on their specific maritime vocabulary. We also have programs to help them more aware of intercultural communication issues.